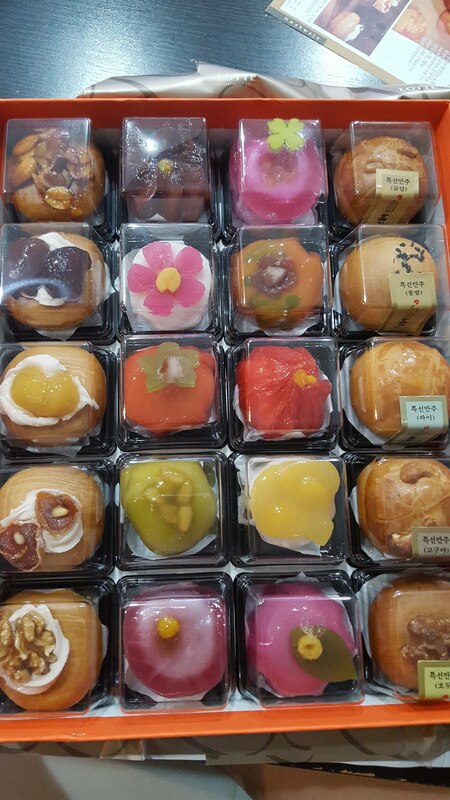 ♪♫ Travelody ♫♪: What Makes Good Souvenir From Korea? 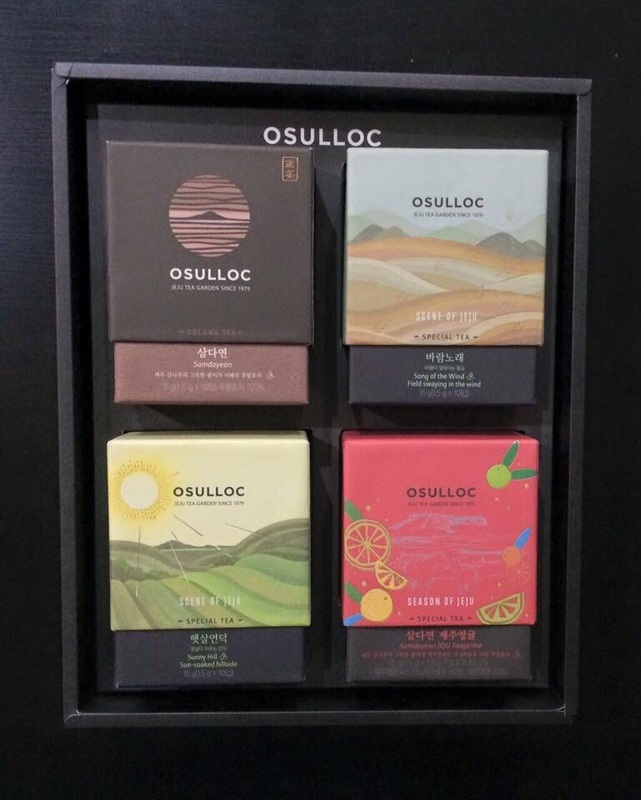 What Makes Good Souvenir From Korea? 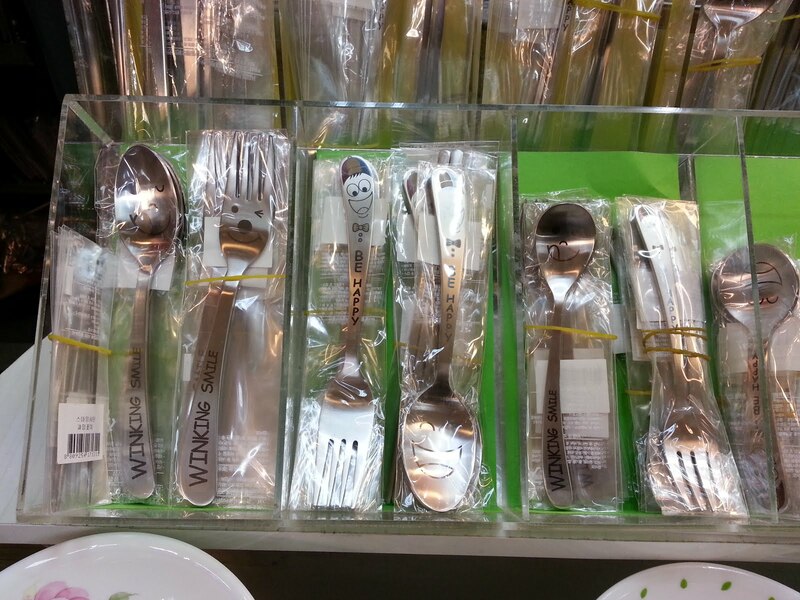 If you are visiting Korea for the first time, you will probably buy back their steel chopsticks and spoons from Namdaemun market as souvenirs/gifts. You might also bring back boxes of cup noodles and Korean snacks (i.e. market-O brownie from the supermarket). It is common for friends to ask you to help them get cosmetics from Korea as well. 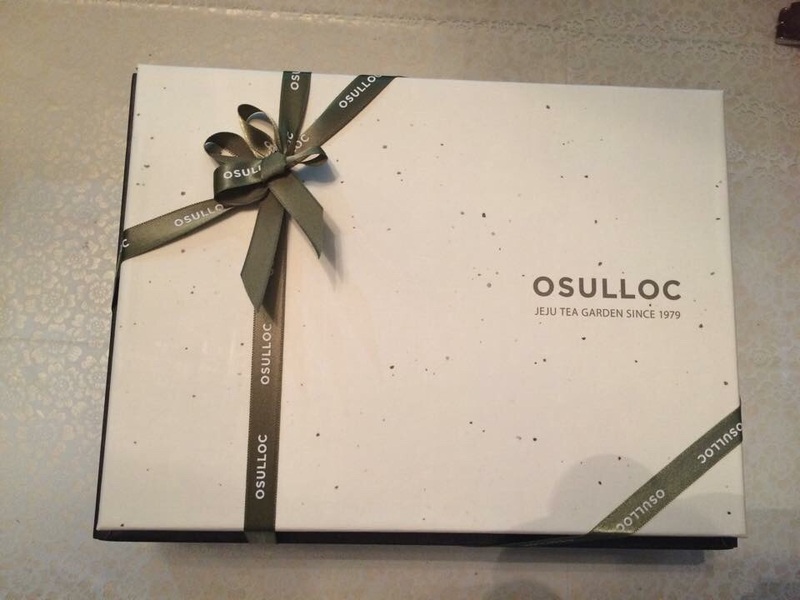 The first time PPK came to visit, he brought Osulloc tea (there is a branch in Myeongdong). My parents like to drink tea thus this is a practical gift. However, we soon ran out of ideas on what to buy. It was during Chuseok (known as mooncake festival in SG) when we were hunting for gifts that we chanced upon the Korean snack below, known as 화과자 (pronounced as hwa kwa ja). 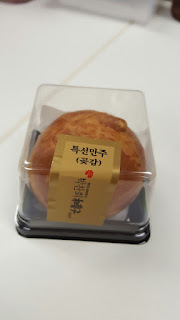 It tastes like Japanese snack, sweet but not overly sweet. 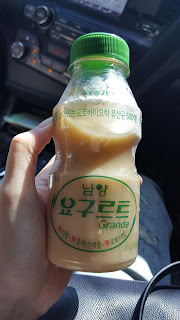 Some contain red bean, some green bean and some green tea. 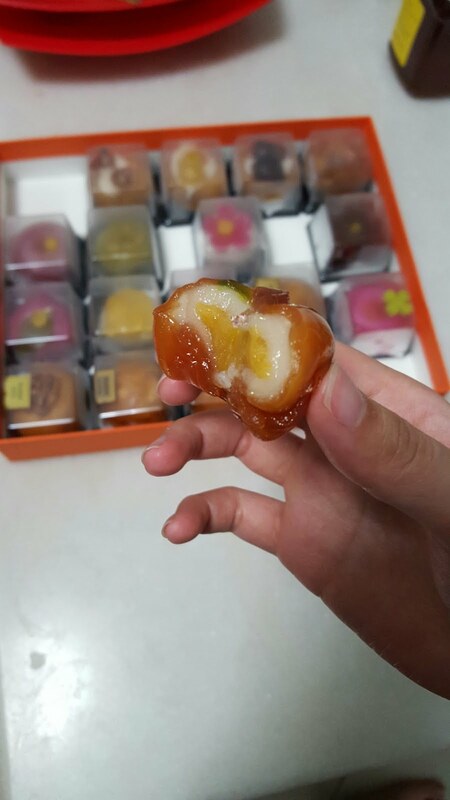 Some tastes like mochi and others taste abit like our mooncake. This is bought from a shop called 박찬회화과자 (pronounced as Park Chan Hee Hwa Kwa Ja) located in the basement of Lotte Department Store near Myeongdong. 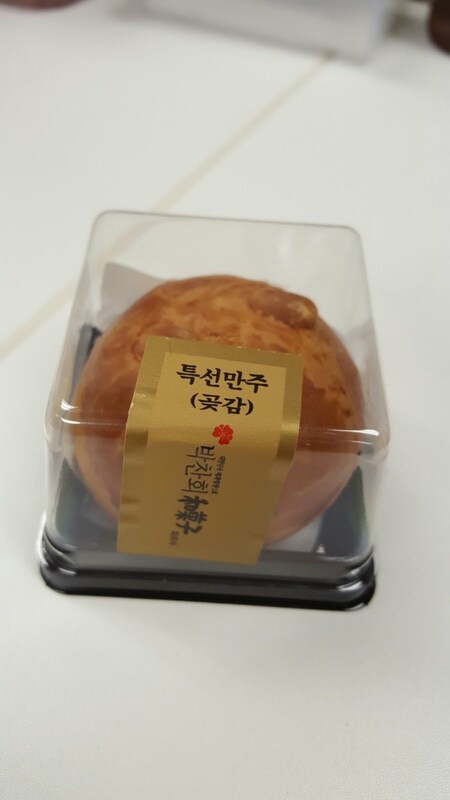 According to PPK, Park Chan Hee is a well known confectioner in Korea. 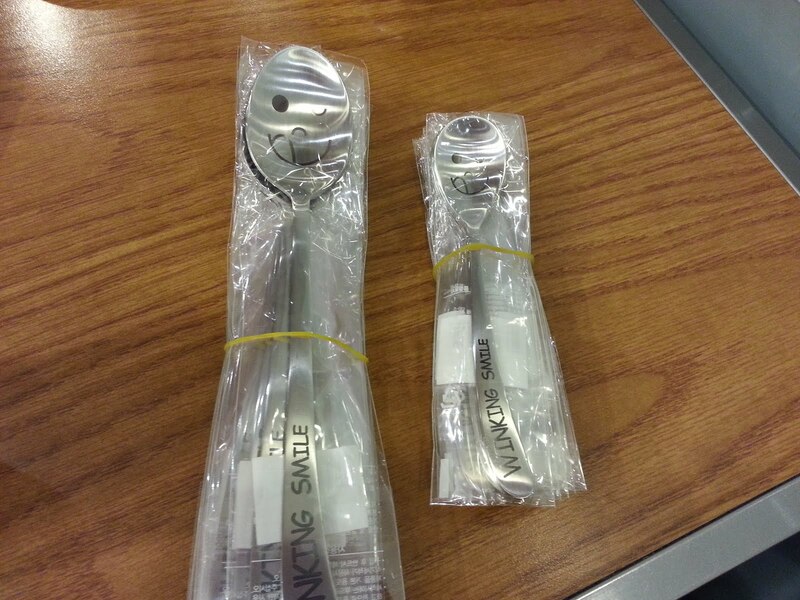 The one below costs 42,000 won, they have those that come in smaller packing as well. This will make great gift especially for someone more senior. The staff will nicely wrap this up in wrapping paper. 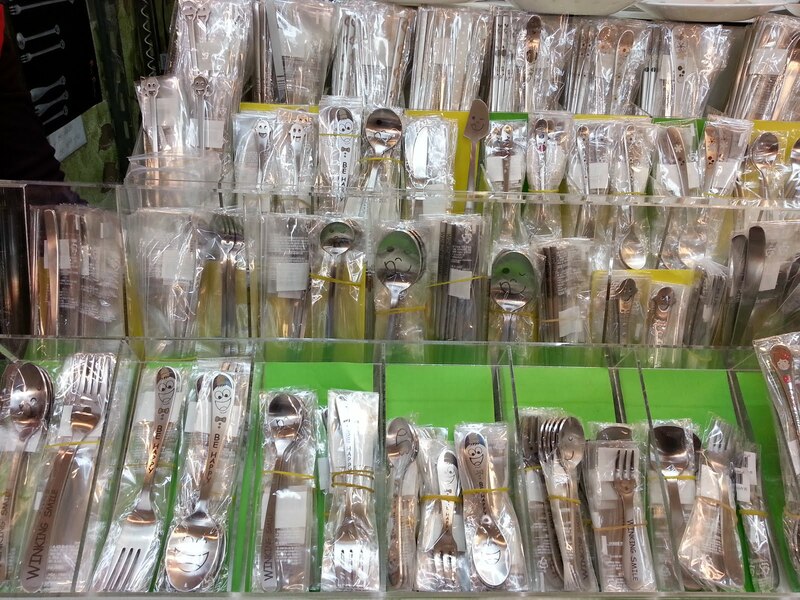 If you are intending to buy gifts for a large group of friends, you can consider getting these cute cutlery (costs around KRW1,000 to KRW2,000) from Namdaemun. This section is dedicated to latest trending snacks/instant noodles/drinks from Korea. Updated as of October 2016. This is the yoghurt jelly which was featured in quite a few variety show. I will definitely buy more of these when I am back there. You can get these at KRW 1,200 from 7-11 (I believe this is only sold in 7-11). 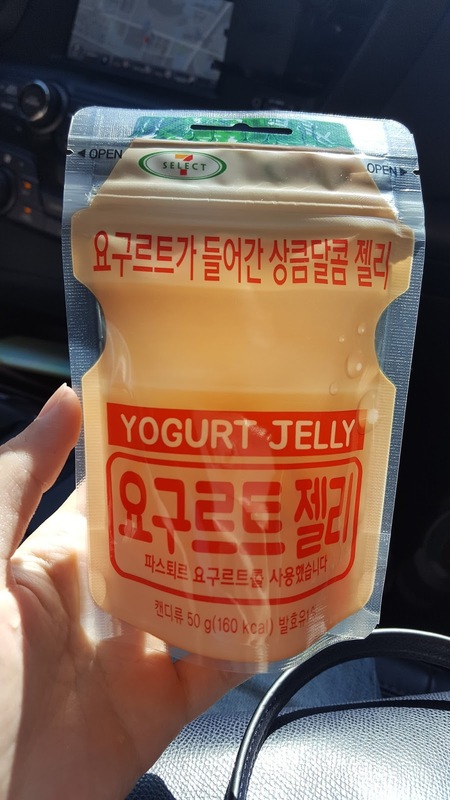 This is the yoghurt drink which tastes like yakult. Not sure why the craze over it. 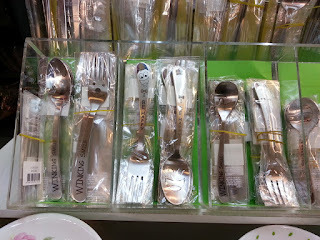 You can find this at Olive Young as well. I believe same price as the candy. 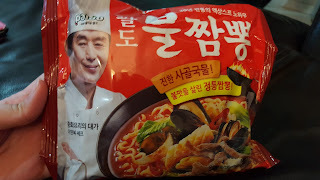 According to my bf, this is the new trending instant noodle from Korea. 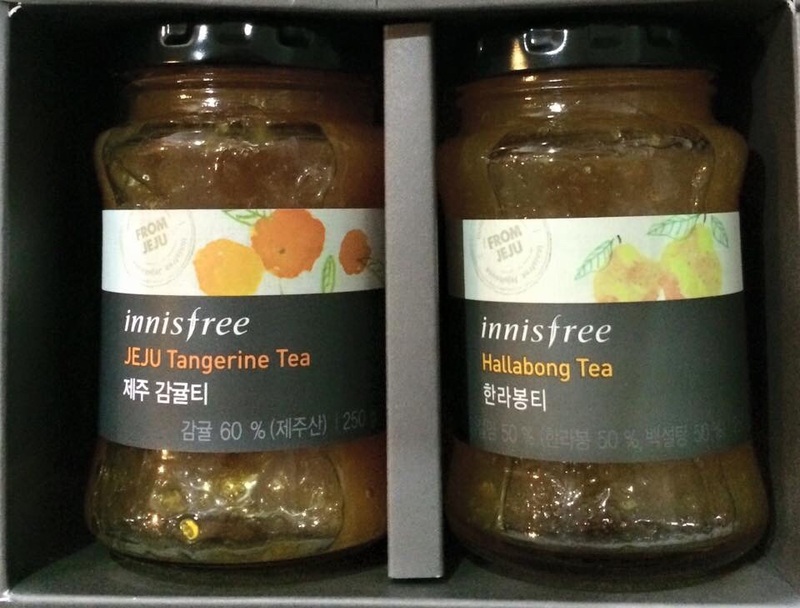 Instant jjambbong! It actually tastes quite good. 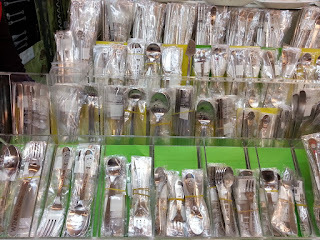 It is called 불짬뽕 (i.e. 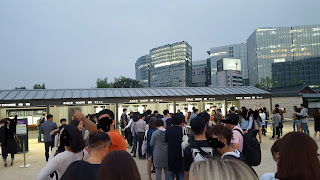 fire jjambbong) for a reason. You can really taste the wok hei/taste of fire. You have to try it to understand what I am trying to say. 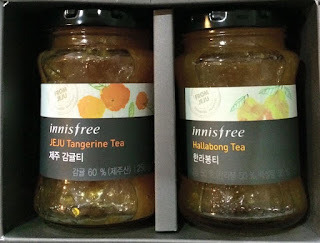 I have never been a jjambbong lover but this is good. Noticed that Korea is selling budaejjiegae instant noodle as well. Definitely will give that a try on my next trip.